We all have heard about Baidu: the giant Chinese search engine. We could think that it might be a generous source of traffic for websites. The Chinese population is ranked number 1 in the world. China holds the highest amount of Internet users in the world. Mandarin (Chinese) is the most spoken language of the world. This could lead us to think that Baidu is a traffic redirecting monster. And it is, indeed; but it would be of little or none benefit for non Chinese sites. Yes, Baidu targets mainly Chinese content and it pays little attention to other languages. Honestly, I don’t expect to receive any traffic coming from Baidu by writing in Spanish or English (the languages I speak). 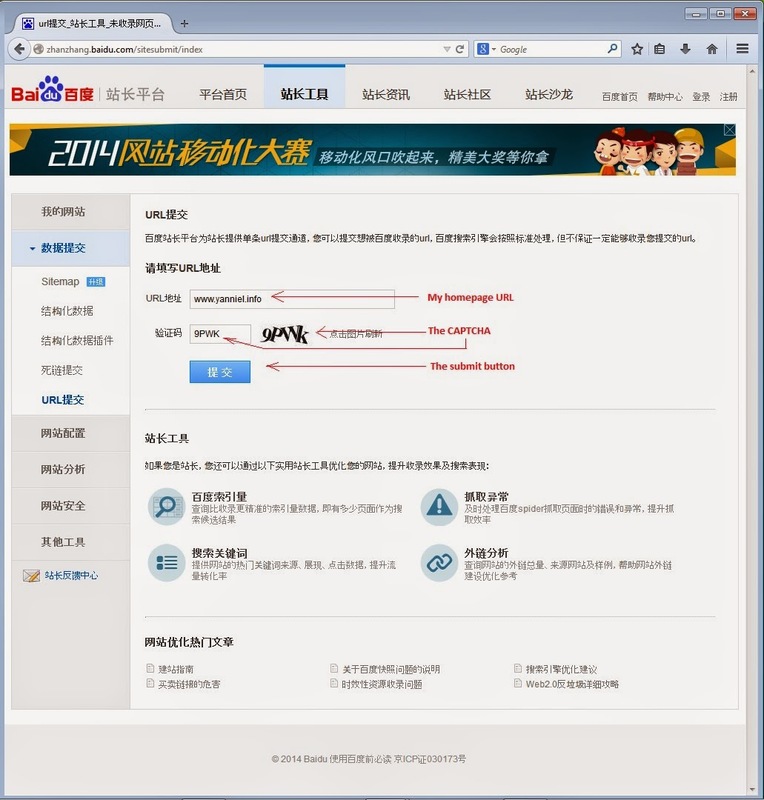 And yes, if you are populating some website with Chinese content, make sure it is indexed in Baidu. If you want to give it a try, follow this link http://www.baidu.com/search/url_submit.html and add your homepage URL to Baidu.